So how do you know if you lived in an apartment for too long? Well you have a huge bathroom with two sinks yet you continue to use ONE sink. Last night I was brushing my teeth and Luke comes over, gently pushes me away from the sink so that he can wash his hands. I just looked at him in shock and pointed to HIS SINK. Earlier today Luke was standing in place jumping up and down, up and down. I asked what on earth he was doing and he said "I could never do this in the apartment without bothering the person below, but now I can!" I never even knew he wanted to stand and jump in place when we lived in the apartment. The other day I started the dishwasher at 11:00pm but then hurried and turned it off because I didn't want to disturb the people around us. It was only a couple of seconds later when I realized that there was nobody around us to disturb. woo hoo! I could go on and on but I'm sure you all are sick of hearing about our house. Can you only imagine what I will be like when we have a kid?? 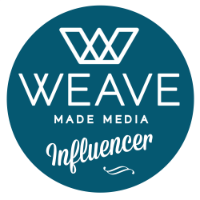 In other news, I am now a guest contributor on the Elizabeth Anne Designs Living blog. I am joining a ton of awesome girls over there and was thrilled when I was asked to do this. Head over there and check out some of the awesome entries! I have to go now, I have a batch of funfetti cookies calling my name. I haven't been jogging in over a month so I am hoping the funfetti cookies will help to even things out. I'm not even really sure what that means. I just need a cookie, with lots of icing on top. Yum. Hooray for all the fun things you can do now that you couldn't do before...I will definitely be ready for that. Your post made me laugh, especially the sink part! I'm so thrilled for you and your husband! Your new home is just beautiful! The floors look fabulous!! 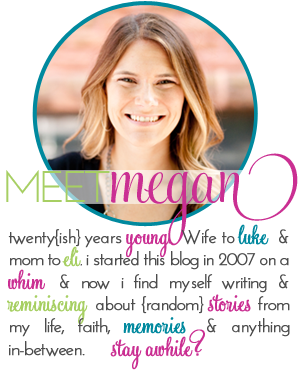 Megan- Thanks so much for your sweet comment on my blog today. I just love you too and can't wait to meet you in person and hug you!!! SOON!!! Mmmmmm cookies and icing. Nom nom!! LOVE the things you can do in a house! Funny that the thing I most want to do...I haven't. My friend had Dance, Dance Revolution in her apartment, and we were forever disturbing people. I want to buy a gaming system JUST so I can play! By the way, I'd love to see more pictures of the new house! I'm jealous of your double sinks. This post truly had me laughing like crazy. I love the sink and jumping points. I totally understand the dishwasher comment though...we're still in an apt. so we're living with it. you have me craving fun fetti cookies now, and now I have never even had one before. You're making me so jealous! We're still in the apartment phase of our lives, and I CANNOT wait to get into a house. Can't wait to see more pics of the house as you work on it! Me and Big Man still do that with our sink even though we have a double.